Work was a bear and I had to wrestle with everything I tried to accomplish. I put more than 600 miles on my van and many more on my brain and body. Working under the pressure of having customers' servers down really wears on you. They are at a standstill if the email server or data server is down for any length of time. If you have to do it, keep it short or it will drain you. If you're like me you feel the weight of the whole company on your back while you mentally run through every possibility of what could be wrong and try to make valid decisions in a hurry. Luckily I've been doing this for quite a while now and usually have more than one way to find a fix for problems, but it doesn't make it any less stressful when you're staring at a screen and none of the results make sense. Welcome to the IT industry. 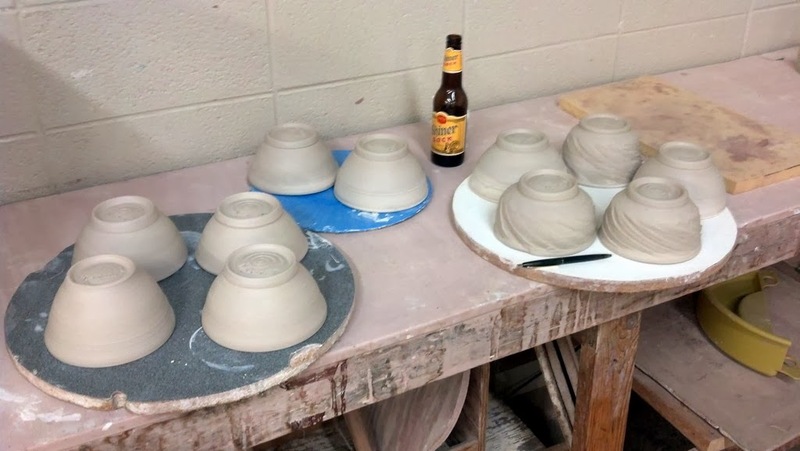 I only managed to get to the studio for a couple of hours on Wednesday night to trim some cups. 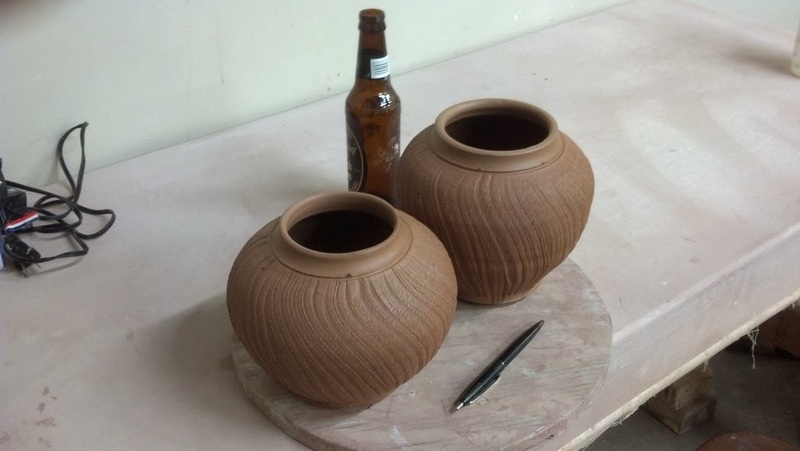 I am planning on spending some hours in the studio tomorrow to get some pots made. 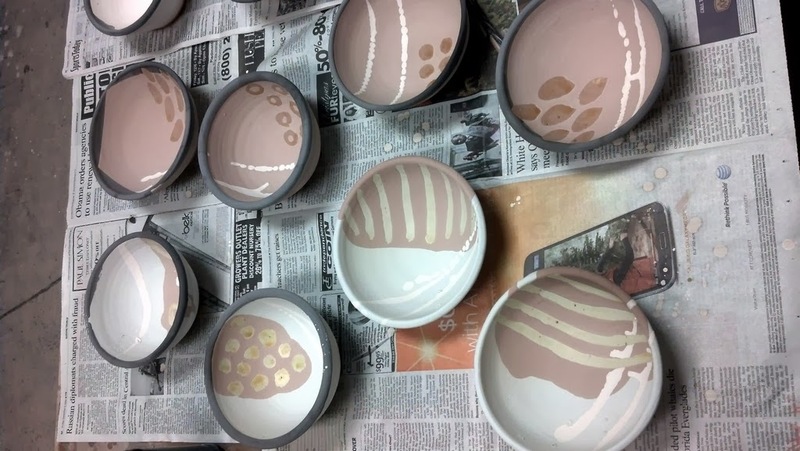 Saturday afternoon I went to Clayworks to try to get back into a comfortable place with my pots as I've been really dissatisfied with my throwing lately. It turned out to be a good day and I made a lot of things in about five hours. 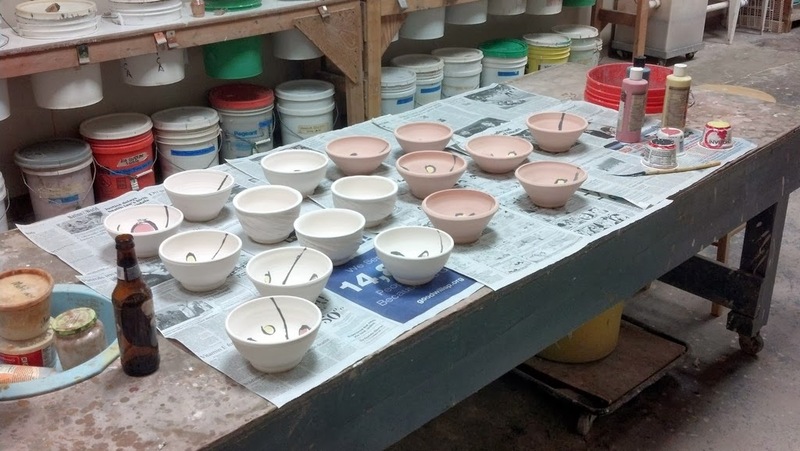 We've got a gas firing coming up at the studio and I'm also trying to get pots ready for a wood firing on March 15. I may remove the handles on the basket pot since I'm not thrilled with them. 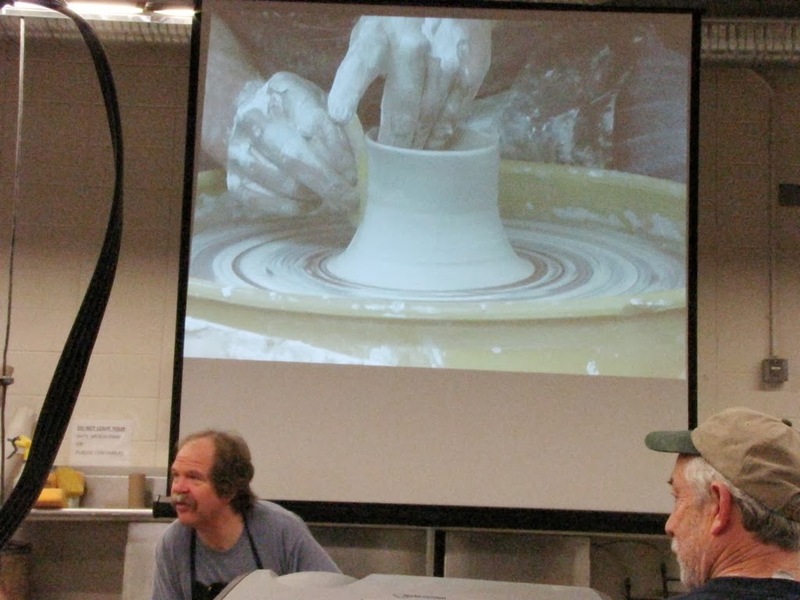 Josh DeWeese showed us how he makes some wild handles and I wanted to give it a try. Needless to say, mine aren't anywhere near the level of Josh's. I may have to spend time just pulling random handles to get more comfortable with it before attempting it again. 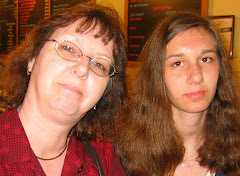 Stephanie came home from school for a long weekend and it's always great to have her here. 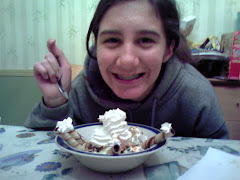 She's an adventurous eater and really appreciates her food which makes it more fun to cook when she's home. Unfortunately she's on a very restricted diet since she's allergic to corn and soy (just try to find things in the supermarket with no corn or soy in them!) and she's always thrilled when she finds something she likes that is within her parameters. A friend of ours gave her some pomegranate lollipops and since she loves pomegranates and can't eat most lollipops (lots of corn syrup) she was thrilled. 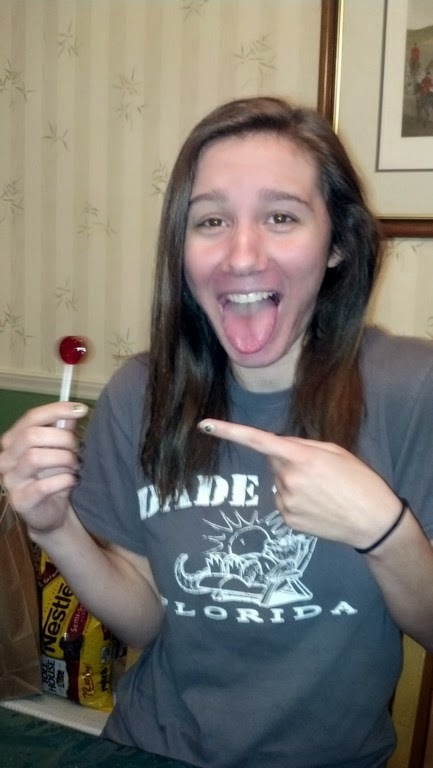 At twenty-one she has re-established her relationship with lollipops. It's the (seemingly) little things. Got my last bowls back from the firing and was pleased with the new things I tried. 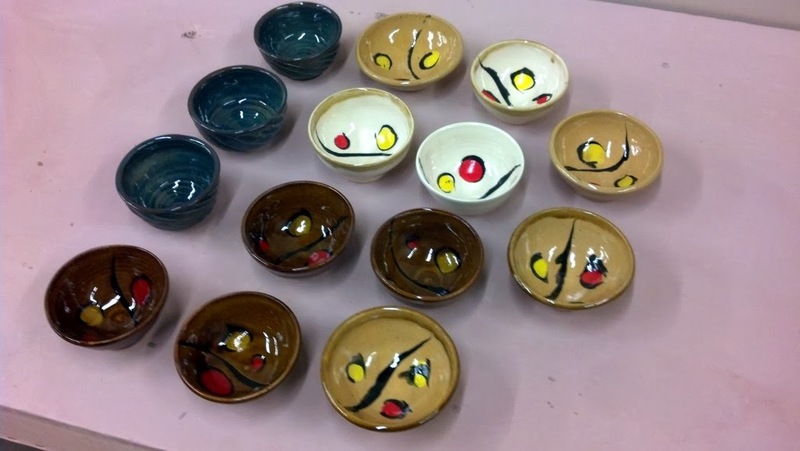 I ran by Clayworks to pick up the Bowling for Dollars bowls and take them to Shelby. The Bowling for Dollars event was scheduled for the next day so I had to get them there at the last minute thanks to the bad weather we had last week. Ju-Ian walked into the studio just as I was getting ready to leave. She wanted to see the Treasures of the Earth show at the Cleveland County Arts Council so she accompanied me on my trip. We enjoyed the ride and the show but had to hurry back to Charlotte since Ju-Ian had supper plans and I had to get to class. Last of my 2014 bowls. 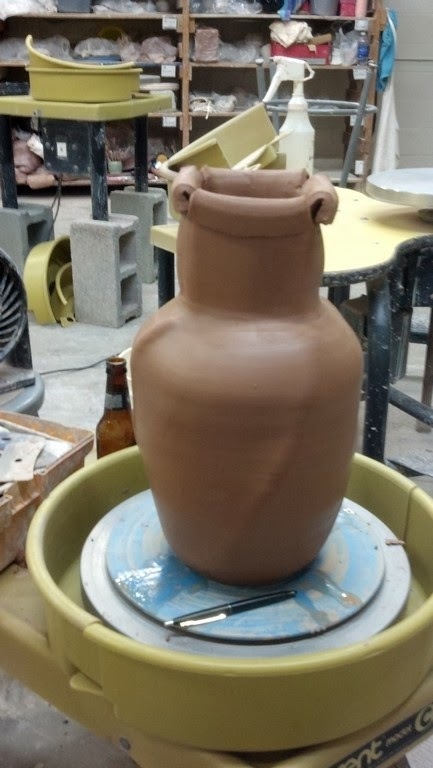 Planning on a major handle for pot on the left. Wasn't crazy about the other one so I started a face on it. Monday I attempted another two-piece pot but it was not to be. 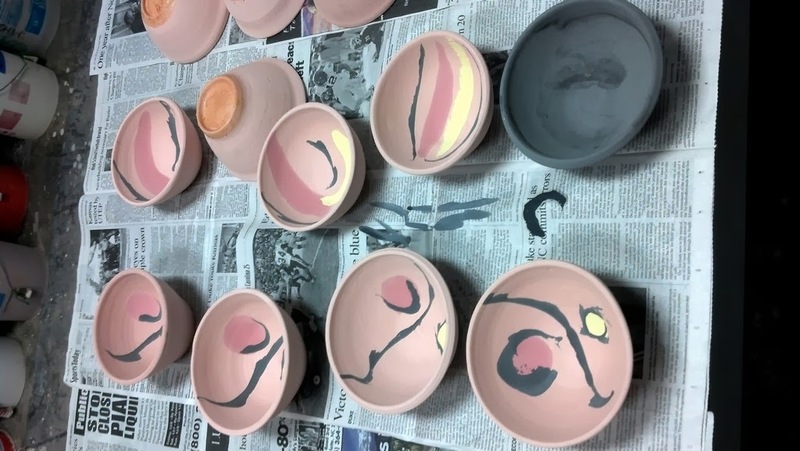 Every pot is a learning experience and some are more instructional than others. 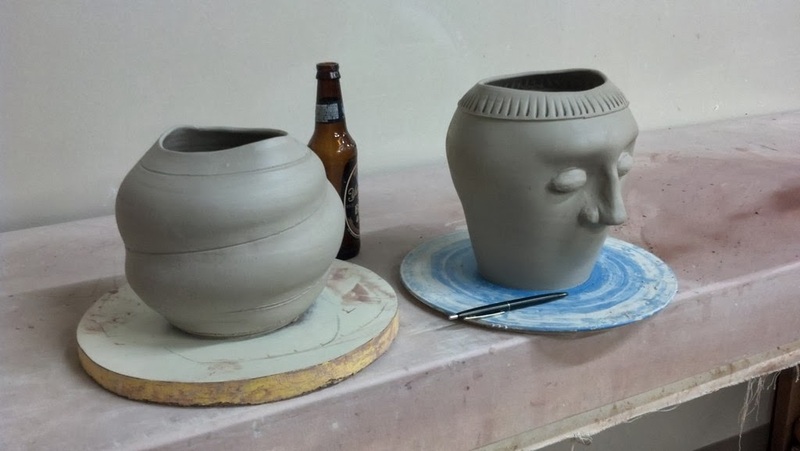 I put these two pieces together and messed with the resulting pot for quite a while. It went through many changes until I completely hated what it had become. One of the biggest lessons to learn is when to walk away from a pot. That moment when you decide you hate it, you're frustrated, (and most importantly) you can't fix it. Every pot is not precious. 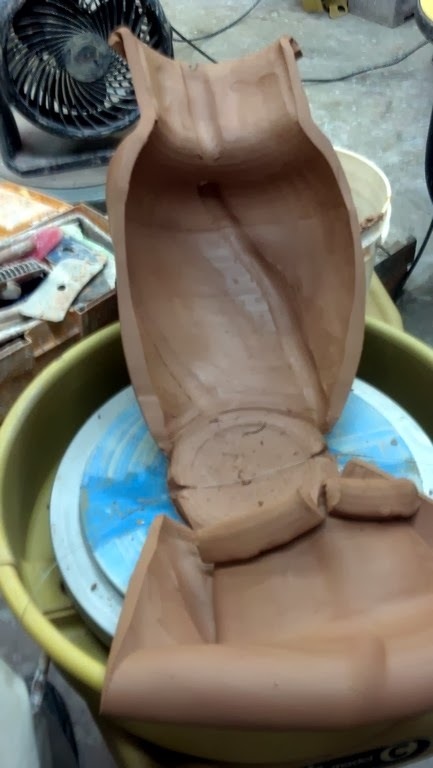 Every pot is not going to be the last one. Sometimes it's better to put back in the bag and move on to something else. I did and was rewarded with a couple of nice pots. 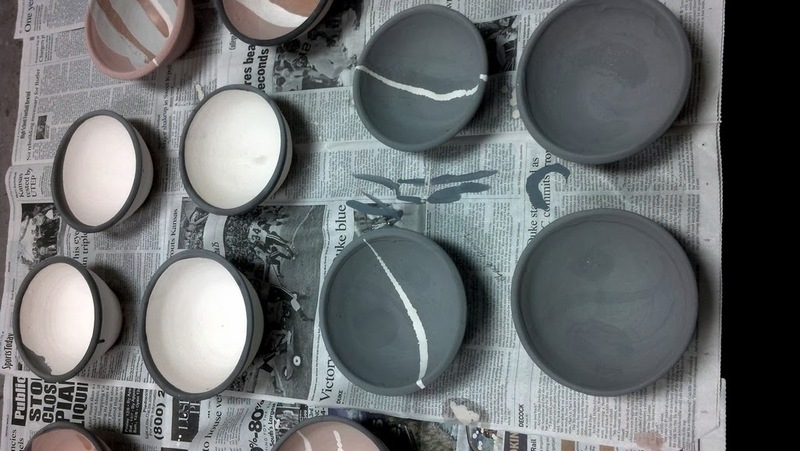 Instead I made two crackle pots and felt productive. 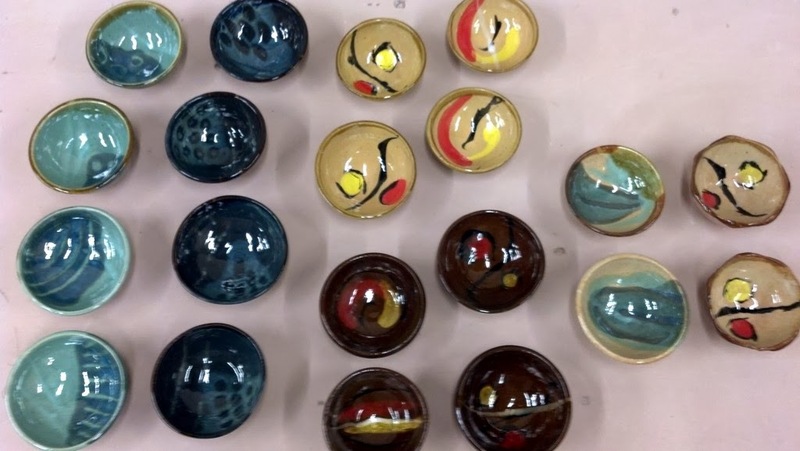 I glazed the last of my Empty Bowls and the Bowling for Dollars bowls on Saturday. I'm enjoying playing with underglazes on these. It's a different direction for me and everything is worth exploring when you're curious. I probably don't need to reiterate this, but for me every pot is an experiment. There's always a whole new thing to try or something to tweak. I forgot to post this video I made of the snow outside the window on Thursday. It was nice to see the snow change the view for a day or so, but it will be gone quickly. It stopped snowing this afternoon and it immediately started melting. Things were looking up until the meteorologists mentioned that it might snow again on Friday night with "little or no accumulation". ...we got more than a foot. I know, science has advanced a lot since 1988, but they still get it wrong way too often for my peace of mind. I like the snow, I like spending time at home, and I like spending time with my wife, but I've got the worst case of cabin fever I can remember. I apparently would never survive someplace that gets snowed in routinely. I'm ready to get out to the store. I'm ready to change my scenery. 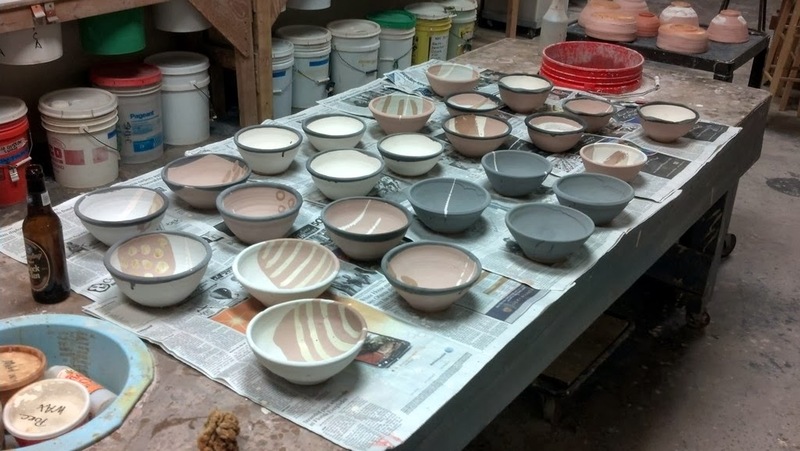 I'm really ready to get back to the studio and make some pots. Oh, and I'm ready to get mail again. It's been two days with no mail. The weather can be pretty frustrating sometimes. I'm sure I'm the first human to say that in all of history. Tuesday it snowed consistently from 9:30 am to 5:00 pm and only managed to leave a couple of inches on the grass. The roads were wet but clear all day. What a waste. Wednesday it started snowing at about 10:00 am and snowed pretty heavily until about 4:00 pm when it switched to sleet. We got about 4-5 inches of snow (even on the roads). Now it's been sleeting for several hours and there is talk of freezing rain tonight before getting more sleet, snow, and possibly more freezing rain before this all clears out of here by tomorrow afternoon --after it changes to just rain. I am not from here and have done my share of driving in snow. Snow does not bother me too much. 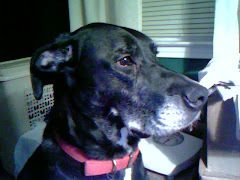 It's all this sleet and freezing rain that makes me crazy. Why can't we ever seem to have just a snowfall without messing it up with ice. I miss the days of just snow. We were in PA during the holidays and while we were there it snowed. The temperature was down to 12 degrees during the snowstorm and dipped to -4 the next night, but the snow stayed snow. No ice, no sleet --snow. As a matter of fact the weather was so cold and the snow was so dry that you couldn't make a snowball. It just wouldn't stick together and that would have been a whole different frustration when I was a kid. It squeaked when you walked on it, but it was snow. By Friday this white stuff will be a dimming memory and the yard will be back to it's winter browns. The daffodils are starting to poke up their heads and Spring is just around the corner. In the meantime what do I do with all this bread and milk? 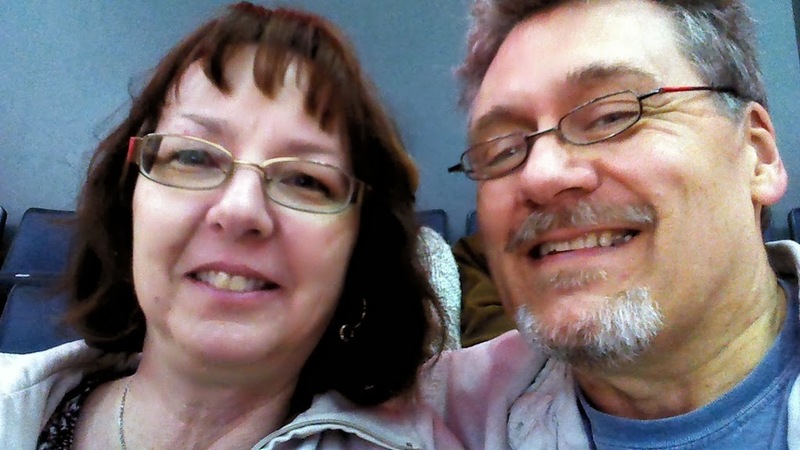 Sunday we joined several other couples at the Time Warner Arena to watch the Charlotte Checkers play hockey. 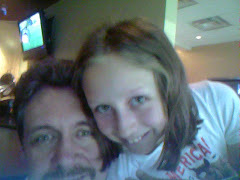 We had a fun time, but the Checkers lost 4-3 in overtime against the Oklahoma City Barons. 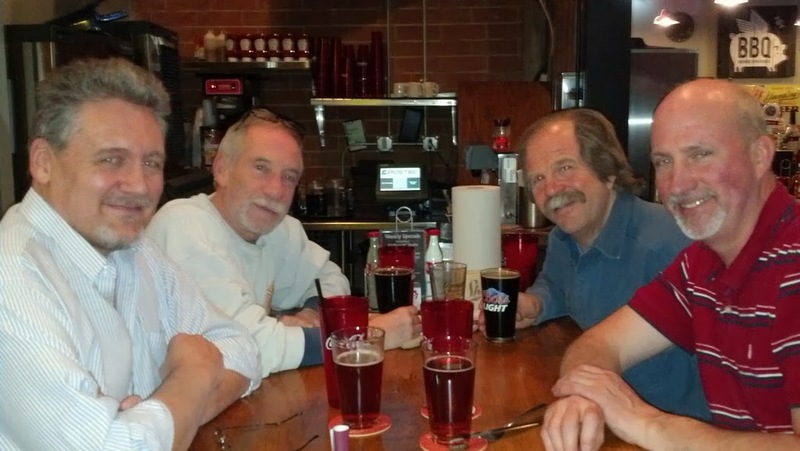 We took the light rail to the arena, so when we left we went to The Tavern on the Tracks for supper. It's a very Buffalo-centric place, so I had the beef on weck with a side of wings. Good stuff. I put the two pieces together, but they were a bit drier than I wanted them to be. I wet the edges and scored them and wet them again. I had to be really careful since the walls were pretty thin. It's stuck together right now and I hope it stays that way. I had a lot of fun with this piece by pushing it in and pushing parts of it back out again. I also did some carving on it --because I wanted to. Pot I spent time pushing around. 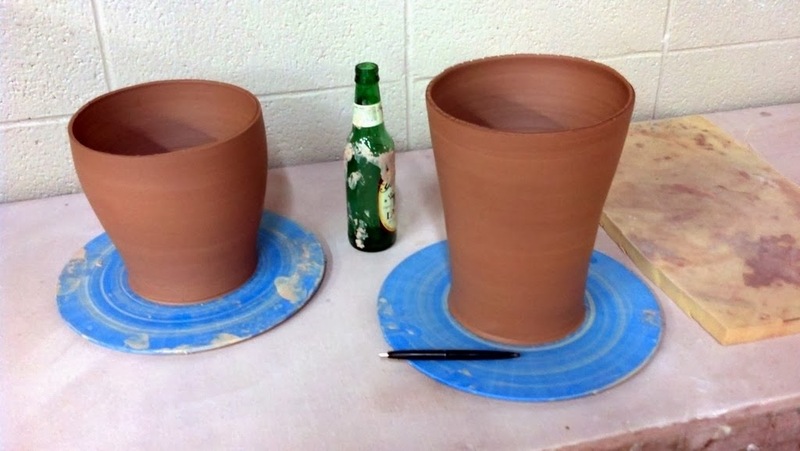 2014-02-05 - Wednesday - Large pot? 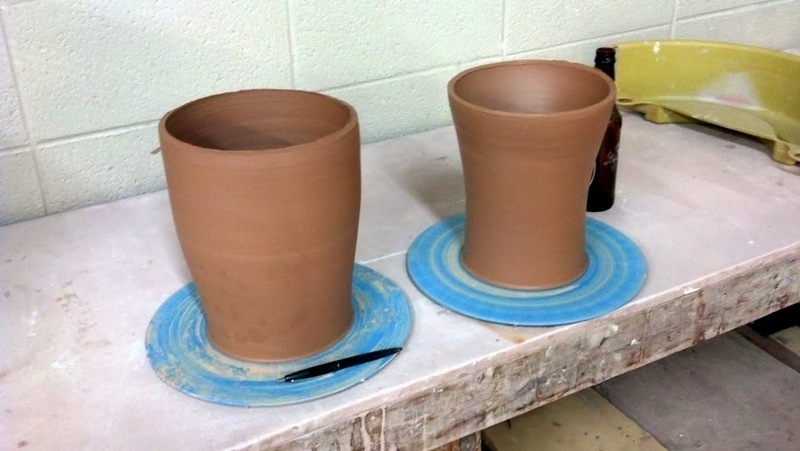 Still inspired by the workshop last weekend, I threw two pieces to put together as one large pot. 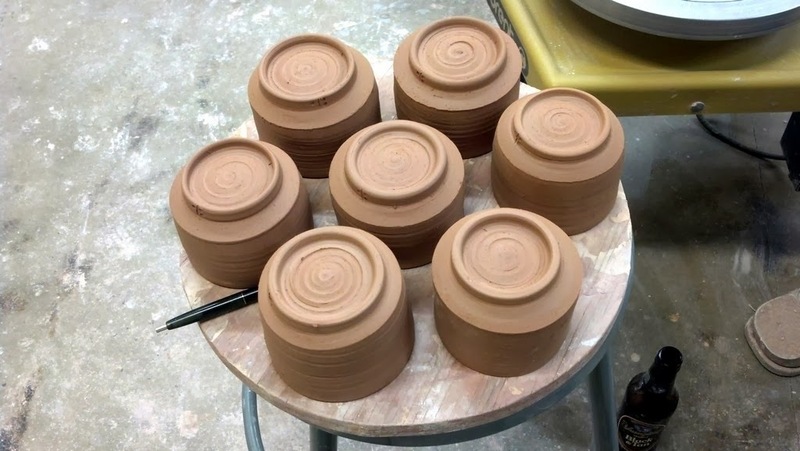 I am hopeful for this pot, but I wasn't paying enough attention and threw the pieces a bit thinner than I would have liked to at the point they are to be joined. I'm going to let them firm up a bit before attempting the build. Either it will work or it won't. Time will tell. 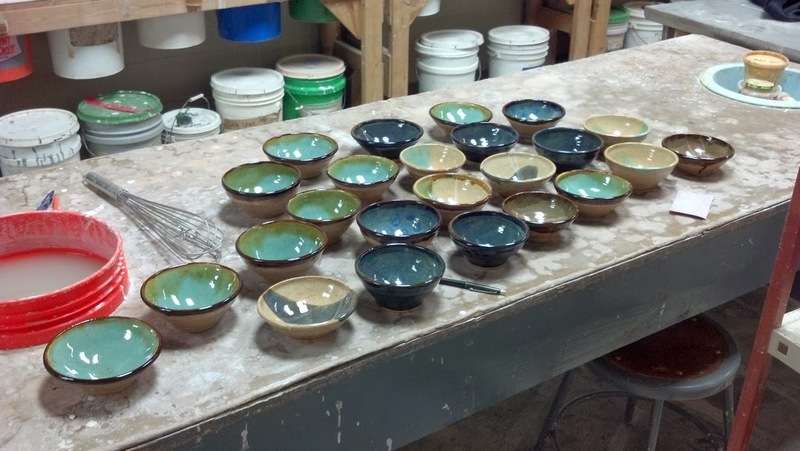 Tuesday I threw some more bowls for Bowling for Dollars and trimmed them and the ones I made on Sunday. As you can see I have done some different shapes here, inspired by Josh DeWeese. I'll be playing with this idea for a while. 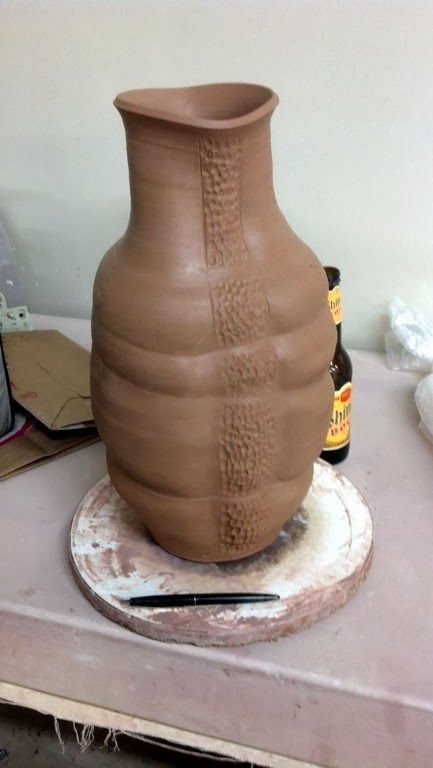 Beer bottle and pen for scale only. 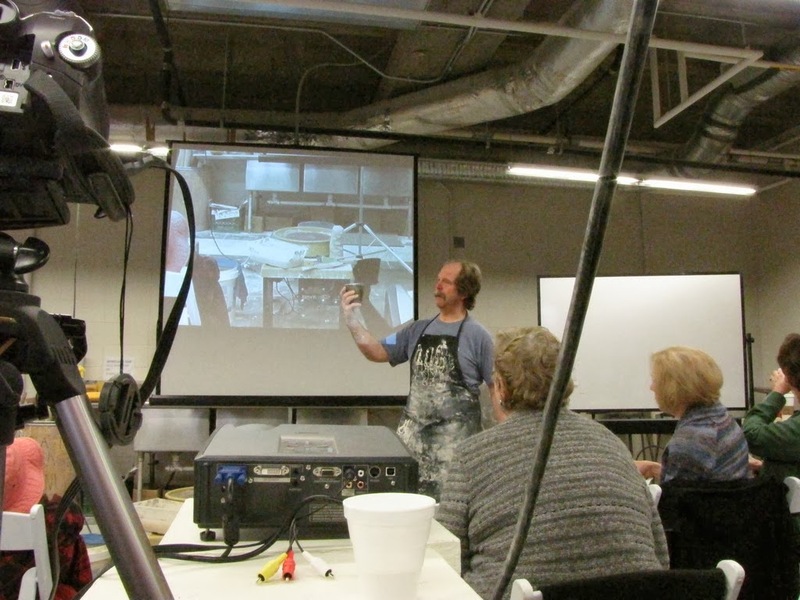 Day two of the Josh DeWeese workshop was another inspiring session. He finished several pieces that he started on Saturday. One of them was formed from two pieces, each made from 25 lbs of clay. 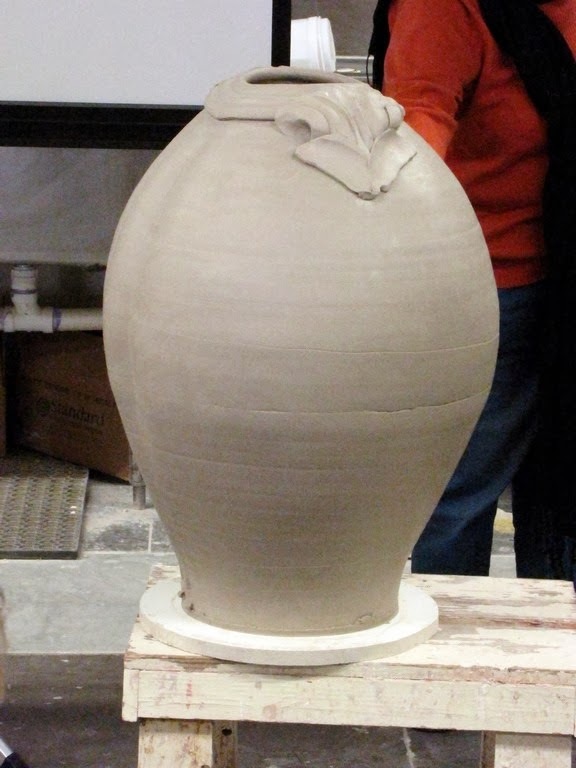 It was a wonderful pot and I was amazed by the way he finished it. 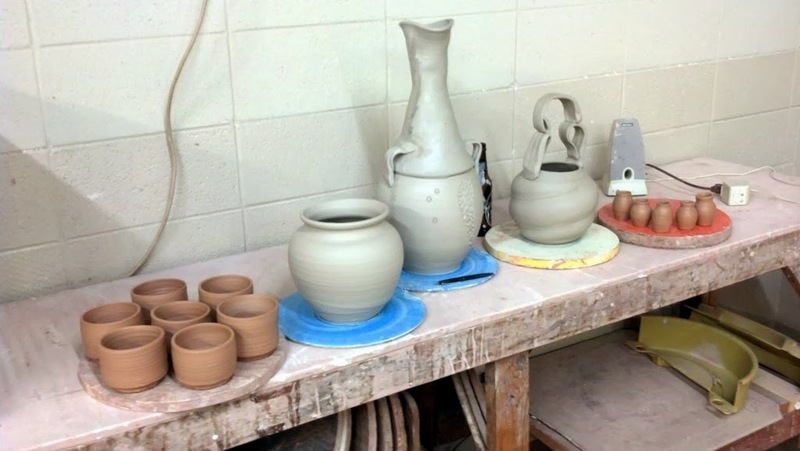 Josh is a very talented potter and a really nice guy. I thank him for a truly inspirational workshop and I can't wait to try some of the ideas he gave me. My work can only get better by adding some of his ideas to my own aesthetic. 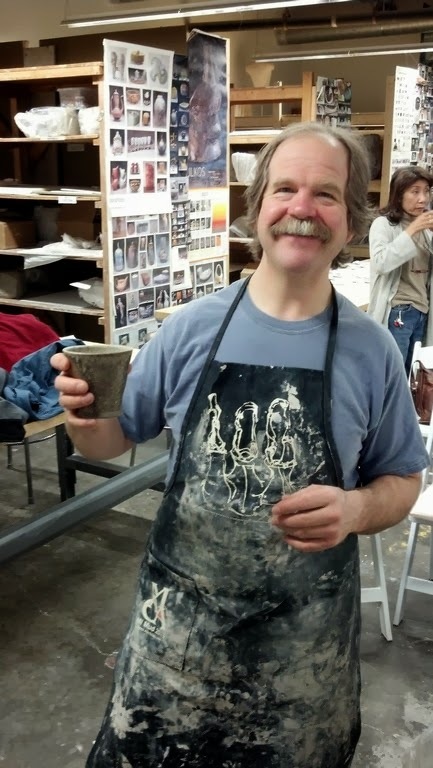 A photo of Josh with his friend Larry's mug. post a photo on Facebook. My view from behind the camera and projector. The workshop was amazing. 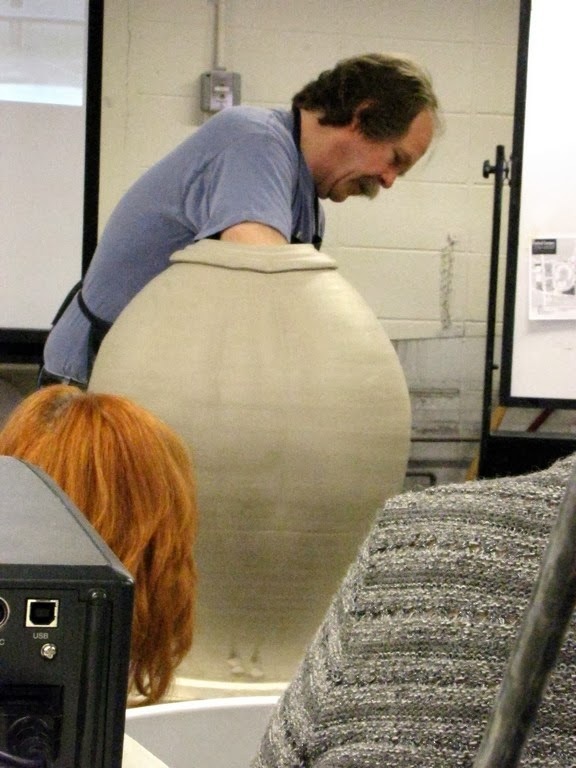 Josh showed us how he makes several of his pieces and shared his work philosophy and artistic vision with us. 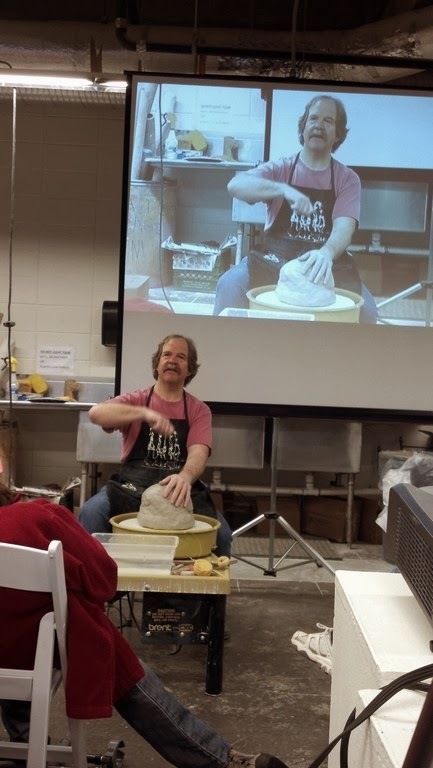 He also regaled us with stories of his time at the Archie Bray Foundation and about times with many of his famous potter friends. Getting ready to throw a 25 lb bag of clay. Friday afternoon we set up the room at CPCC for the Josh DeWeese workshop. After setup Josh arrived and we took him to Midwood Smokehouse for supper. A good time for everyone. I couldn't wait to see Josh work at the wheel as I really like his work. Me, Gary, Josh, and David. 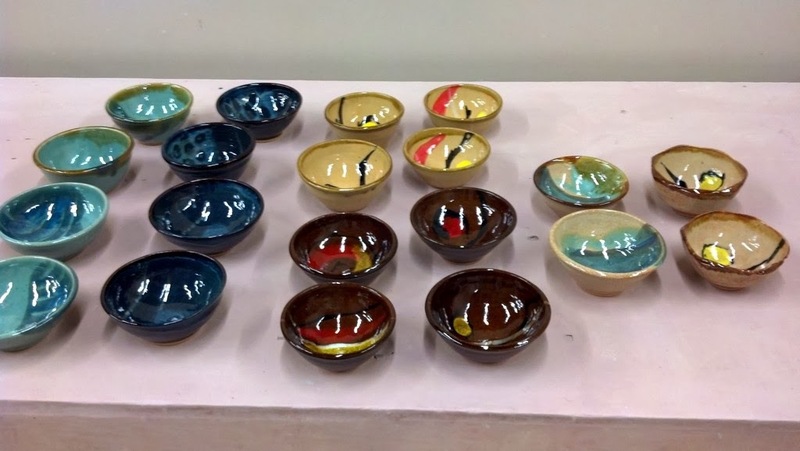 Here are some of the Empty Bowls I glazed last week. 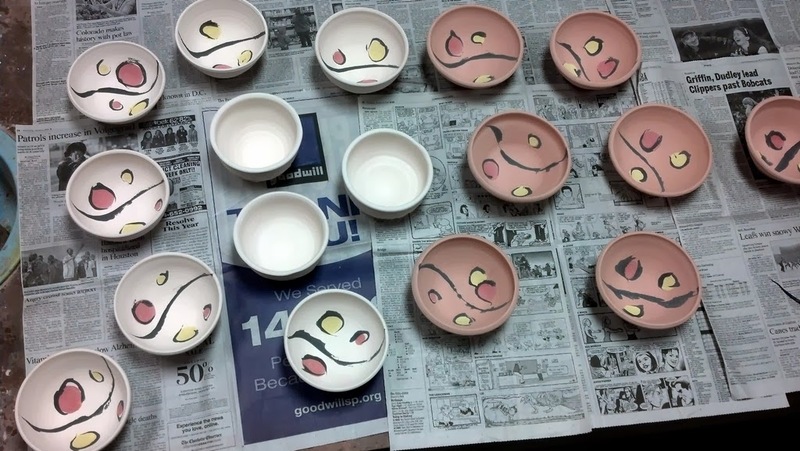 I like the way the underglaze worked so I will be trying more of that in the future. 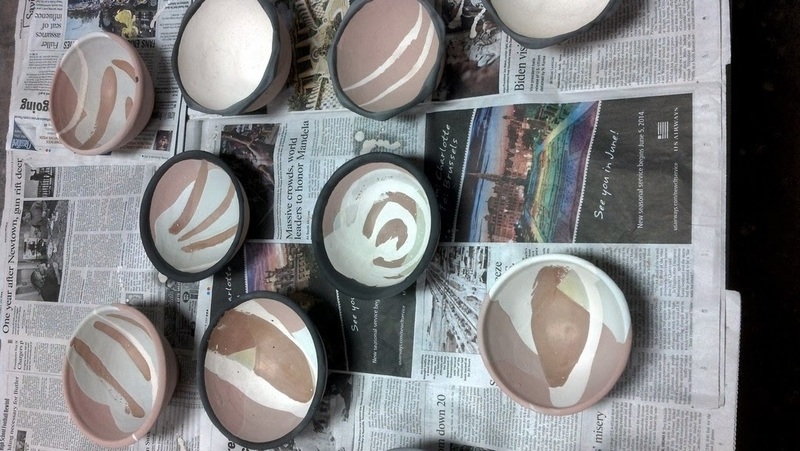 I glazed the second batch of Empty Bowls and tried some new things as usual. Fun stuff. The same bowls with clear (white) and amber (black). 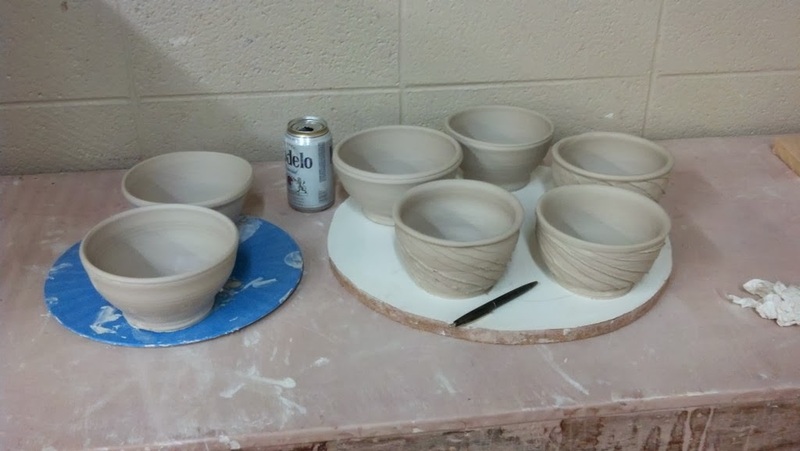 Sunday after the workshop I pulled out my first batch of bowls to lightly sand the foot rings. I burnish them with my fingers when trimming them until they're smooth and soft. Unfortunately during the glaze firing the foot ring becomes a bit rough again so I lightly sand it back to smoothness. 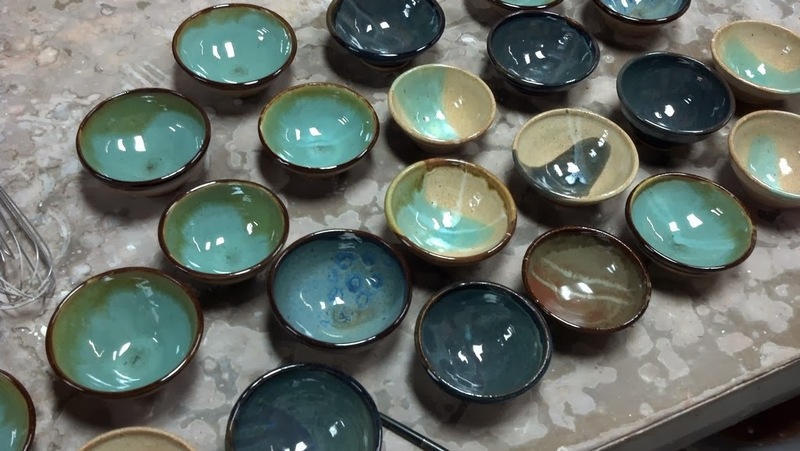 I'm pleased with the results on the glazing of this first batch but I'm ready to try some new things. I'll try the changes on the next batch.